I put together these budgeting tips for young adults, who are leaving their parents’ house and just starting their independent life. I hope that parents of the teenagers would also use my tips in preparing their children for stepping out of the family nest and living on their own. The main reason for me to write this post and teach young people how to manage their money is to keep them away from debt. I want to really stress out and make it crystal clear: getting out debts is a complicated and painful process. It is much easier not to dive into the debts and not be drowning in them. Having said that, I also want to mention that some debts are unavoidable, and having an education loan or a mortgage is okay as long as they are of reasonable amounts, the interest rate is low, and your overall debts are holding a small percentage of your budget. What is the budget? Why do I need a budget plan? How do I create a personal budget plan? Where should I keep my money? Do I need a credit card or a debit card? How do I stay free of debts? Please continue reading to get these questions answered. What Is Budget And Why Do I Need a Budget Plan? You left your house, you stepped into your own adult life… You know that you need money to live on, and probably found your first job already… or maybe you are in college, and your parents are still partially supporting you. In either case, you are here because you want to know how to plan your finances smartly. A budget is an estimate of income and expense for a set period. Why do you need to plan it? The answer is simple: to keep yourself free of debts, build a good credit record and be able to start saving for the future. Income is your net earnings – money you receive after all deductions such as tax, health insurance, retirement savings, etc. Income includes earnings from all jobs, and any other support you may get from your parents, spouse, or sometimes, the government. Expense consists of your “needs” and “wants”. Take this short quiz to find out if you can correctly identify which expenses are necessities and which are desires. Planning your budget makes you aware of your income, your mandatory expense, and your desirable spending. Such knowledge leads you to the meaningful decisions and reasonable adjustments in both earnings and spending, which in turn opens opportunities for a sooner financial stability and security. 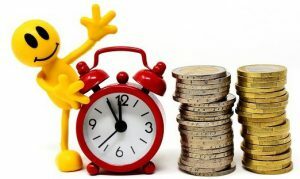 As I mentioned in my previous post titled “How to Retire Early with Little Money? || Become Wealthy in 10 Years.”, an extreme frugality is not a lifestyle I would recommend to anyone, especially not to people in their young age. Therefore, we have to think ahead and plan our present and future – so, that we save little by little without noticeably affecting our today’s quality of life, and yet improving our tomorrow’s financial well-being. How Do I Create a Personal Budget Plan? The first two columns are easy to fill in: in the 1st, write your sources of income (such as, ‘Main job’) and in the 2nd column – a net earnings (for example, $1,500.00), which is a residual monthly amount after all deductions have been taken from gross pay, such as payroll taxes, retirement plan contributions, your contribution to the Premium of health insurance, etc. The next two columns are spending-related. 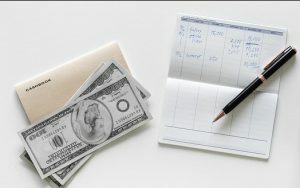 In the 3rd column, list all your monthly expense categories starting with the absolute “needs” and moving towards wants. List closer to the top those spending which, even though can be lowered or completely eliminated, are of higher priority to keep (such as your phone service, Internet service, etc). Write less necessary or irregular expenses closer to the bottom of the list. Don’t forget to accommodate the annual, semi-annual or quarterly financial responsibilities, such as college tuition if you are a student, or quarterly income tax if you work for yourself. If you are a college student and you have a partial scholarship, partial financial aid, and the rest you are paying out-of-pocket, you’d want to make sure that you have the required amount before the beginning of each semester. The best way to be worry-free is to calculate your annual out-of-pocket responsibility, divide it by 12 months, and put aside this amount each month regardless of study or vacation period. However, you need to do your calculations as soon as you got accepted to that college, and start collecting immediately – so, that you have a good jump-start until your first payment. If you do as I suggested, your tuition expense becomes a monthly need, which will be listed at the top of your expense categories column and considered a high priority. You can, if it makes it more visible to you, write your scholarship and financial aid as your income. Then, you’d have to write your full tuition as an expense. However, since these sources of income are targeted to a particular expense and nothing else, you don’t have to mention them in your budget planning – only out-of-pocket responsibility is important for you at this time. When you start paying back your education loans, then you’d list your monthly payment amounts as a high priority expense. If you are self-employed full time, your estimated tax must be paid quarterly. Otherwise, you’ll be penalized. If you have a part-time business, you can pay a little extra tax at your main place of employment, and there will be no penalties (it does require proper calculation, though!). The 4th column shows monthly spending amounts by category. And here you may get stuck because you have no idea how much you spend on food or on your car gas per month. Don’t worry. Fill in what you do know: your rent/mortgage, utilities – look them up in an online or on paper monthly bills, your car loan, monthly pay for a daycare program, and other set amounts. After paying those known bills, you’ll have a few categories left with unknown monthly amounts and one lump sum that has to be enough to cover all these expenses. Does this look realistic so far? If yes, go ahead and enter your best guess or proportional calculations: how much or what part of the residual amount you believe would make sense to spend on car gas, food, clothes, entertainment, etc. The following month, you’d have to keep track of all your spendings by categories. The easiest way to do so is by using a credit or a debit card only – no cash! Don’t skip the chapter below in this article discussing the bank cards. If by the time you entered all known expenses you realized that there is not enough income to cover anything else, you already know that there is a problem and you must address it right away. I will help you find possible solutions in the last chapter, but please don’t skip bank accounts and bank cards discussion. I hope you understand that using credit cards as loans is the worst idea one could come up with. Yet, it is the most common mistake because it’s an easiest short-term solution, which creates a deep long-term problem. 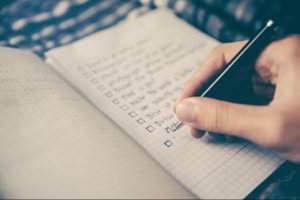 The 5th column “Comments” is for making notes regarding your adjustments when balancing your budget at the end of each month, or even more often, especially during the first year of planning. Well, let’s see… First, you need to pick a bank. How? Do your research! Here are the tips on what to look for when choosing a bank. Security of your funds. In case of bank’s bankruptcy, FDIC insurance provides $250,000 in coverage per owner, per account. Make sure that your future bank is FDIC insured. If you have such large amount of cash, it should not sit in the bank, especially with today’s low interest rates. But, if for some reason you must keep it there, have accounts in more than one financial institutions. Do you prefer an online bank without or with a very few physical locations, or a brick-and-mortar bank? What types of account is the bank offering? What are the interest rates on savings and money market accounts? What types of fees does the bank charge? Is there a minimum balance to keep in the account in order to avoid account maintenance fee? Is there another option to avoid the monthly fee (such as having a qualifying direct deposit). How many offices, ATMs the bank has, the convenience of their location and hours of operation for you. Is there an online banking option, and how well it’s developed? Does the bank return “foreign” ATM fees (fees charged by ATMs not belonging to this bank or to the alliance the bank is partnering with)? Does the bank offer extra benefits to its customers? What kind of benefits? Does the bank offer extra benefits to its customers for keeping certain minimum balance on their accounts? Once you found a suitable bank, you need to decide on what types of the accounts you need to open. Checking Account is a must. You’ll keep there your monthly rolling money. You feed it from the whole or a part of your income (direct deposit is a good option if available through your employer). You’ll use these funds to pay your monthly bills, for food and other day-to-day expenses. But, this will be a 2-step process. In reality, you’ll have one credit card and you’ll use it to pay for everything possible. Just before the due date, you’ll pay off from your checking account to your credit card the total balance of the last statement. You also need an account for your emergency fund savings. For this, you can use saving or money market account. These two account types are designed for savings and are easily accessible at any time you need money. Typically, you are allowed to make 6 transactions per month from either of these two types of the bank accounts. As of Spring, 2018 some money market accounts have a little higher interest rate. If you have more than one source of income, most likely you’d be able to set up a direct deposit to savings or money market account from your secondary (smaller) source. If your bank has a good online banking system, it’s easy to manually make an online transaction from checking to saving. And of course, you can always make a transaction from ATM or in the bank office during its business hours. If you have money for a long-term saving, which you are certain that you won’t need to access urgently, do not keep these larger amounts in the bank – invest them. Do I Need a Credit Card, a Debit Card, or Both? At present, some credit cards give excellent benefits, such as travel accident Insurance, car rental insurance, emergency road services, and miles (or points) reward program, where you receive points for every dollar you spend. The reward program is an excellent way to save money. When you accumulate a good number of points, you can use them to purchase something you need, pay your travel expenses, pay back your credit card balance, or exchange points for cash. I always rent a car in my travel destination country using my reward points. It’s wonderful to have a “free” car when traveling. When you use a credit card and pay off your balance at the end of every billing period as I suggested above, you don’t pay any interest or fees, and you build a good credit record for yourself. The better your credit score is, the easier it is for you to receive a loan with the lower interest rate – you’ll appreciate this when buying a house, or even a car. As I explained above, you will need a checking account. When you open one, you’ll get a debit card automatically. Do not use it in situations other than when you need to get some cash out of ATM. Especially do not use your debit card for online purchases. Using a credit card is safer than using a debit card. When you use the credit card, you are borrowing money, even if only for a month. On the other hand, when you use the debit card, you use your own money – the money you deposited into your checking account.The banks have become very good at monitoring and catching suspicious activities on your credit card account. You are usually not liable for stolen funds from your credit card account. Most banks are also becoming better in reimbursing their clients on funds, withdrawn from clients’ checking accounts when a debit card was stolen, or its number was hacked. Still, the process can take longer and be more complicated because it’s your money – not bank’s. How Do I Stay Debts-Free? Let’s look at your budget plan again and compare your income with your expenses. Your budget is balanced if your total monthly expense is matching your monthly net income. 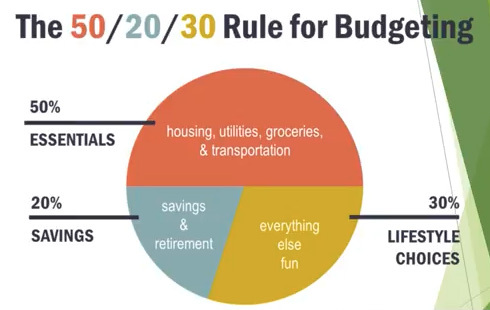 A very good personal budget plan would fall under the 50/20/30 rule, where 50% of the budget is allocated for the essentials, 20% – for savings, and 30% – lifestyle choices. But what if this didn’t happen? How can you adjust your plan to live debt-free? Let’s look at your options in details. As I mentioned above, use of a credit card as a loan is absolutely unacceptable!!! Forget that credit card account even has an option of paying back less than a total monthly balance. No! No! And No! Credit card loans are very expensive; they charge extremely high interest. Even if you think that you found a low-interest credit card, it is still too high compared to mortgage or a car loan for people with a good credit score. First, start looking at your spendings, and figure out what is extra and where you can cut down the amounts you spend. Stop that Cable TV service – there are plenty of great free documentary, news, movies and other shows on the Internet. Cut down your phone bill – find cheaper service that only covers basics that you’d definitely need for communication with an outside world in case of emergency. Remember to always shut down powered devices and lighting when you don’t use them – save on your electricity bill. Don’t take an hour shower, make sure that none of the taps are leaking. Save on your water bill. Can you move to a cheaper place? Find another roommate? I know, it’s inconvenient, but your choices are either earn more or spend less. Remember, DEBT is NOT an option. Housing is the biggest expense, and if you save there, maybe it would be enough, and you won’t need to look elsewhere. Doing grocery shopping and preparing meals at home can be healthier and cheaper than eating in a restaurant. Most people can cut on the groceries they buy. Food gets spoiled, and you must throw it away and waste your money. Don’t buy more than you can eat. Most people don’t need to eat as much as they do. Dessert is usually not good for your health anyway, try to skip it more often. The size of your dish could be smaller. Eating until we feel full and nothing else could fit in the stomach is not a healthy habit. Eat by the schedule. Don’t take snacks in between the meals. Make every effort to eat three times a day. Don’t buy bottled water. Filter tap water instead. Save on the food to eat healthier. Don’t skip meals, and don’t save by buying cheap low-quality groceries. Do not completely eliminate savings for the emergency plan. If you can’t put aside 20% of your income, 10% is good enough. If you already filled up your emergency fund, start investing: 10% of your income is better than nothing. Savings on clothes. You are young and want to look stylish. That’s understandable, even though it’s a “want” – not a “need”. There are plenty of discount stores and discounted items in the stores. Clothes can be very cheap these days. There are also very cheap online stores. If your figure is more or less typical, smart shopping online can save you money. It is also okay to accept gifts from your friends – if something doesn’t fit them anymore but fits you, there is no shame to take it. You don’t need too many pieces of clothes, but make sure that you really love the look and comfort of the pieces you own. If adjusting expenses alone still doesn’t bring ends to meet, you must get more income. If you already brought your expenses to the minimal, and there is still not enough income to cover the basics, then ask yourself “why?” What can you do to increase your earning? Do you feel like you are a valuable worker at your current place of employment? Then, ask your manager for a raise. If you can’t get a raise, find a better paying job. Yes, you can. You just need to think what else you can do, what other skill sets you have, and start actively looking and applying. Can you work part-time a second job? Then, find that second job. Your second job could be for another employer. If you have a car, you may start driving Uber or Lift. Freelancing is another option that offers you time flexibility. You can start your own business. Any self-employment requires an investment, but it is minimal if you do certain freelancing, certain work under a legit MLM company, or build your own online business. Freelancing would require your own tools and equipment, but for example, if you offer writing services and you are reading this article on your computer, there isn’t much of an additional equipment required – the computer should satisfy the need. 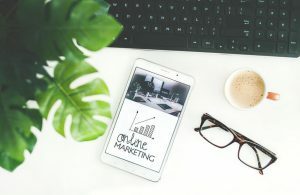 The cheapest and easiest way to start your own online business is to build a website and use it for an affiliate marketing. The downside is that this will require a few months before you rank in the search engines, get some traffic to your site, and it starts generating the revenue. So, if you are in an urgent need for an additional income, this might be not the best option for you. But keep it in mind for some other time because online affiliate marketing produces great benefits. Whether you work for another employer, or for yourself, selling your labor per time unit has its limitation – the time. Doing online marketing, once you start getting conversions on your website, you’ll start earning a passive income. It means that the job you’ve done once will bring revenue over and over again. Thus, you’d be generating an income that does not depend on your time anymore, and therefore theoretically unlimited. Creating your own branch of business under a legitimate MLM company is also beneficial because of the possibility of the future passive income (cumulative small commissions from your team members’ sales). Once again, there is no such thing as quick and easy money. Creating your own business during the after day-job hours is a great long-term solution to supplement your income. The best time to start building your business is when you are able to live debt-free for several months (or even a year) on your current income, even if you can’t afford many high-priority “wants” on your list. Building your business (online or offline) is a serious time commitment, especially during the first several months. Do not expect any revenue within the first 3+ months. If you manage to earn some money this early in the process – enjoy an awesome surprise, but do not count on it when planning your budget. If your business picks-up and goes really well, at some point in the future you may decide to quit your day job and work only for yourself. Acting smart, living debt-free and saving towards your future rather than competing with your peers in looking cool and stylish and spending over your available budget is the best favor you could do to yourself when you are young. Find a bank most beneficial and convenient for you and open a checking account. You’ll get a debit card to go along with it. Only use your debit card if you must pay cash. Open another account for your emergency fund savings (Savings or Money Market). Apply for a credit card with great benefits, and use it to pay for everything, pay it off monthly. DO NOT carry any balance (even a cent) over to the next month: over time, it will cost you too much. Whatever you do, stay away from getting debts. The only acceptable debts are education loan, car loan, and mortgage. The last two you only take when you can afford monthly pay-back amounts without hurting any other parts of your budget plan. Balance your budget. If your income doesn’t cover all your spendings, analyze and cut down what you spend. If your income is still lower than even only required expenses, you must work smarter and harder to increase your income. If you must earn extra money immediately, find a second employer, drive Uber, or offer freelance services. If you have time to get your own business rolling – that’s the best option to increase your income. A Bonus Tip: when self-employed, do not forget to make your quarterly tax payments! to find out more about my #1 recommendation in affiliate marketing training for beginners and fast and secure web hosting platform. You can also check out the MLM company I investigated and tested out, and can recommend to you with confidence. Actually, this is a financial company, which offers help in individual/family financial analysis, planning, helps to get rid of debts (if you already managed to get debts) and offering insurance products to serve your current needs and improve your financial future. >>> Click here to read the review on WFG <<< and contact me if you have any questions. Wealthy Affiliate Black Friday Deal 2018. Thank you for your informative and educational post. If we all listened to what our parents taught us when we were younger perhaps we would not get ourselves into debt as many young people do. The visual descriptions also are great to help better understand how to create a budget an essential element towards debt free strategies. Very cool informative and easy to follow. Thank you again. Thank you very much for your comment. The need for this article mostly derives from the fact that kids usually don’t listen to their parents… 🙂 And then they are on their own. They know that Mom and Dad told them something about managing finances, keeping away from the debts, budgeting… but what exactly it was. Nowadays, you can google everything… And when we search information per our own need, it gets settled better than when parents try to share it with us. But also, not all parents even talk to their kids about managing money. When kids are in the family, parents manage the budget (better or worse! ), and when kids leave – they have no clue on what’s involved, and not even terminology. So, hopefully my article will help those who at least show the curiosity and understand that inappropriate money management in one’s youth would lead to the big financial problems in the future. Hi Julia, Thank you for writing this great post. I agree staying AWAY from debt is easier than paying it back. There were certainly lots of great tips and advice here. I really like your simple advice and top tips. The budget that you drew up is very easy to follow. Saving 20% of my income is actually quite a lot. I have a lot of bills and housing and food is expensive in my part of the world. I was wondering what we can do to get this down? Thank you so much for stopping by to read my blog and for your feedback. The personal budget plan is easy to draw – not so easy to keep your actual spending in accordance with the plan, especially where there is a little room for flexibility and a lot of temptation. I understand. It requires discipline and self-control. Saving 20% is perfect, but like I say in my video, saving little is better than nothing, and I suggest to try hard not to go below 10%. Also, for those who just start their independent life, the goal is to fill in the emergency fund. Once that is intact, the amounts of savings for the retirement depends on several factors, including employer’s match contribution if such is available. It’s still suggested to keep savings at 10-20%. So, if you feel like it’s too much, look again into your spending – there might be something you can cut without even noticing – some annual subscription, for example, which you never use and forgot that are still paying. My personal experience: my husband and I quit smoking cigarettes together (not that we haven’t noticed! 🙂 ). I now set up a weekly automatic transaction to our Money Market account for the amount we used to spend on cigarettes. As it accumulates to more significant amounts, I add it to our retirement investment accounts. Another option to keep your budget balanced and yet be able to save 20% – increase your income. And as I said, doing it through the recurring income for the job that was done once (passive income), is the best solution. Internet Marketing and MLM are examples of the business types providing an opportunity for the passive income. Thank you again, and all the best to you! A really great post for the people just starting out it should give them big headstart If and only If they follow through with each one of them. Using a credit card to pay for things is very tempting for young students or workers starting out, but using a debit card would keep them from overspending. Thank you for the comment. The targeted readers of this blog are the young adults, who actually made their first step – they searched for the budgeting tips, which means that they are more responsible than many of their peers. They want to learn. Education in any area always involves two sides: we can’t teach someone who doesn’t want to learn. Therefore, I give the beneficial practical advice relying on self-control and personal discipline. 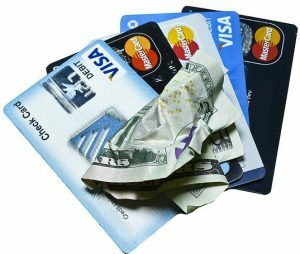 You are right that it’s easier to overspend with credit cards than with a debit card. However, a debit card does not offer benefits, which many credit cards offer, and in many occasions, debit card can also allow overdraft, which leads to high penalties. One of the reasons to make a budget plan is to determine what balance on a credit card we can pay back in full by the end of the monthly billing period, and not spend more than this amount. Excellent tips! I’m sorry I did not know 5 years ago. Unfortunately, I live in a country where is very difficult to live if you are not in a high position. People like me live on credit and credit cards, and I just need your advice. I started my other job, but it was all in the beginning. I’ll follow your website. Thanks for sharing. Julia what an important article and Youtube video. I have saved this page to refer back to as well. I have 2 teenagers in my house, one is fairly good at saving for small things. We have definitely stressed to both of them the dangers of debt. Thank you for stopping by and reading. Unfortunately, many schools in the United States don’t teach money management at all, and others don’t focus enough on such an important skill. Many parents forget to address money management and financial independence issues with their kids. It always feels like there is still a lot of time ahead, and then it seems like only a blink and the next moment our kids are taking off to college or elsewhere. 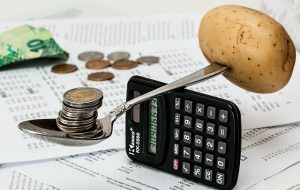 The budget planning in my post uses the simplest technique. The learning of creating the plan is effortless. However, understanding the need and benefits of having such a plan, and spending these few minutes to create the plan and then a few minutes periodically to check whether we follow it and re-balance is crucial in managing personal finances. I am sure that your kids, both of them, will do well, because their parents understand the danger of debt and importance of balancing and conducting proper control over spending and earning. I hope to see you visiting my website again. Thank you! Julia, this is an excellent article for young adults and parents. You are right that schools don’t teach this so thank you for taking the time to write this very informative article. I hope the young adults and parents reading this article take your advice because being in a lot of debt is horrible and takes several years to pay off – if ever. It definitely wrecks your credit and is simply not good for anyone. I have warned my children several times about the dangers of getting into debt. It’s really awful how many credit card applications my daughter receives in the mail while she’s away at college, but I have told her to destroy those applications when they come in the mail. I really enjoyed reading this. Are you going to be writing any additional articles for young adults ? Once again, thank you Julia for such an informative and helpful article. Thank you very much for the approving and encouraging feedback. I should mention those endless credit card applications that come in the mail, and advise my readers the same as you advised to your daughter: to destroy them. I do recommend to have and use one credit card with the great benefits, but pay off the full amount at the end of every billing period with no exceptions. My next article for young people (and not only young!) is going to be on debt elimination solutions. It doesn’t matter how loud we scream warning of danger of debts, people, especially young adults, still get themselves into the terrible trap of debt. In an early stage, young people may need an advice on how to better and quicker pay back their loans. But some people manage to reach the point when they are unable to pay back everything they owe, and they must seek professional help with getting rid of their debts. In certain cases for the US residents, I can recommend a professional solution other than most common bankruptcy and debts consolidation strategy. But improving one’s financial reputation and restoring the good credit score will be a long process anyway.